Seriously, folks, this woman knows her stuff. A couple of weeks ago my family attended the graduation party of my friend, Tonja’s son. My kids were each on their second helping of this pasta salad and “mmmming” with every bite. When I asked Tonja what was in it, she giggled and told me the two “secret ingredients” that I will share with you in a second. She then told me that her Mom had made it, but that it was Grandma Davis’ recipe. So, I decided to whip it up for our Memorial Day cookout. Please don’t let the main secret ingredient detour you from making this wonderful salad!! It is SO GOOD!! Spam and Dill Pickle Juice! I ate Spam as a kid, but in my 20+ years of married life I don’t ever remember buying it? This salad is AH-Mazing! You just have to try it! and nephews fought over the leftovers. 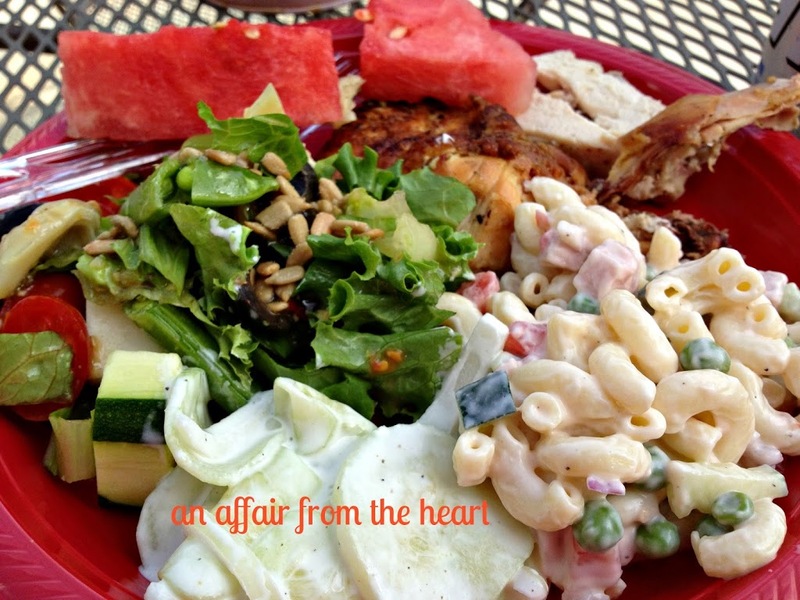 my plate from the cookout…SWOON! I had only eaten it once, so that made things a little tough. She hung on the phone with me, like the good old days, and we worked through it to develop this recipe to share with you! Below is the “recipe” we came up with! Boil pasta, drain and set aside. Combine ingredients for the sauce. I didn’t feel like I needed the milk in mine, I liked the creamy texture of the mayo and pickle juice, set this aside. Chop all of the veggies and Spam, cheese if you desire. Toss pasta and chopped ingredients in a large bowl, cover with sauce, and coat. I made this a day early, the flavors had a chance to marry together nicely that way! It looks so appetizing! I’m definitely going to try it. I admit I’m raising my eyebrows at the idea of buying Spam, but I’ll do it anyhow. I’ve just got to see how this tastes! CongratsMichaela on also being featured in Deanna’s Olive and Grapevine Salad Newsletter this week! I love the ‘secret ingredients’ in this wonderful family recipe! 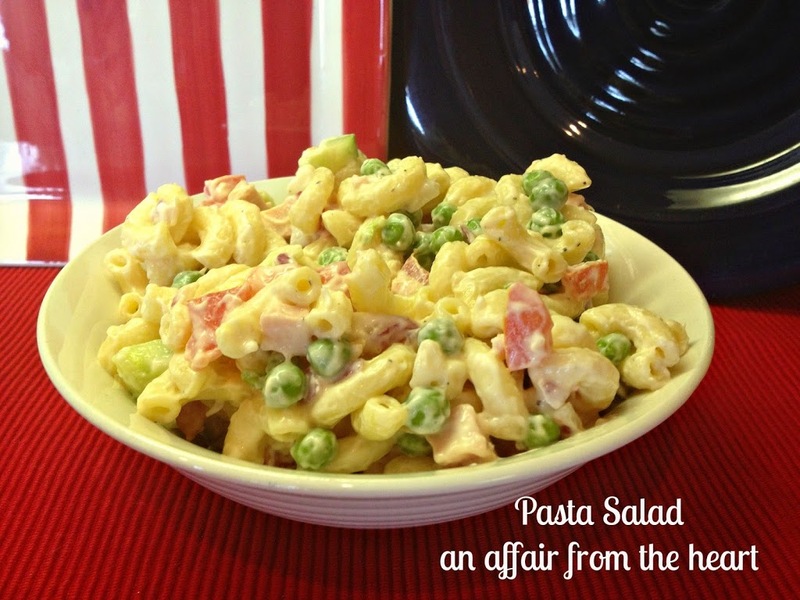 Grandma Davis’ Pasta Salad sounds scrumptious. 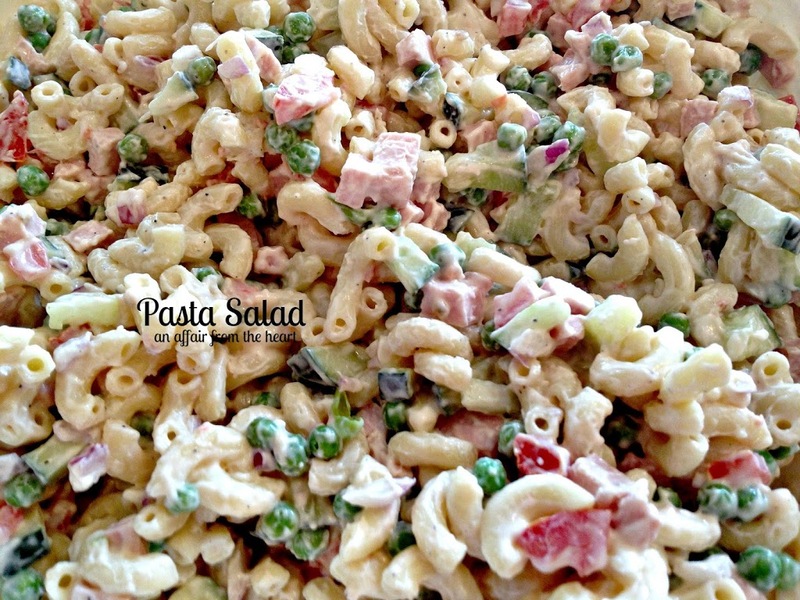 There’s nothing like a good old fashioned macaroni salad like this! I’m with your kids when it comes to great macaroni salad, Michaela! 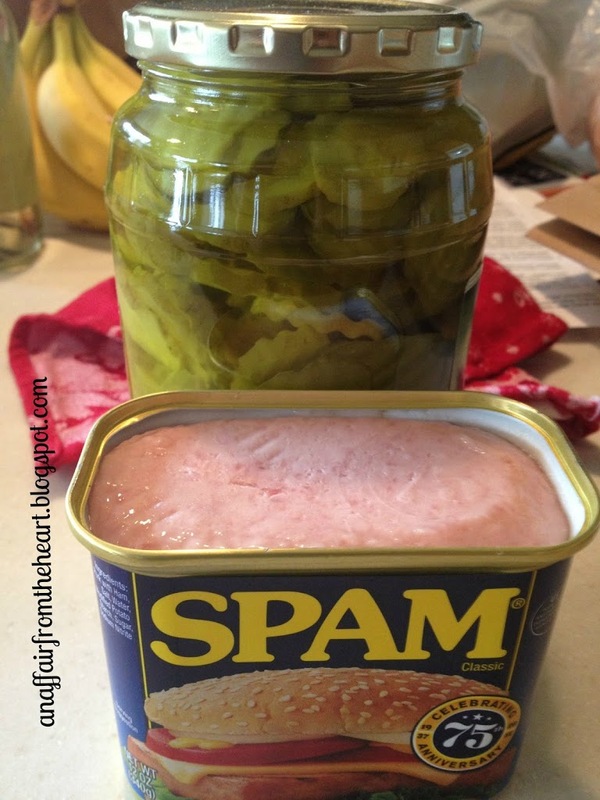 The pickle juice I’ve used before but Spam…I didn’t see that coming! That is ingenious. I just printed this out and can’t wait to make it! Maybe some cubed Tillamook medium cheddar too? Several versions on this, will make this one looks better than mine. Thank you! My uncle had a drugstore with a counter and served the best sandwiches. One being a ham salad,it was made with spam! He grated it and then added mayo r miracle whip/mustard/pickle relish/salt/pepper it was delish! I have also added finely diced green onion. Sounds good!! I hope you like the salad, too! My mom used to make this when I was a little girl…she never put mustard only Miracle Whip…it was yummy! Loved this! I didn’t have pickle juice on hand so I used dill with vinegar & a little sugar. Added the peas & cheese with some veggies (riced) and we loved it! I should have made a double batch. Thanks Michaela! This is one of my family’s favorites! I am so happy you enjoyed it, Lisa!